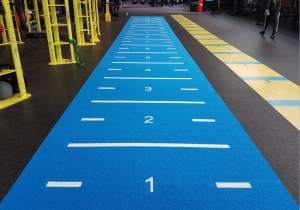 Our new sprint lane/prowler tracks are the perfect flooring solution to develop explosive power, speed and core conditioning. 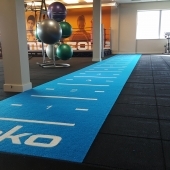 All sizes come complete with line markings & numbers to add extra functionality to your workouts. Optional shock pads available upon request. 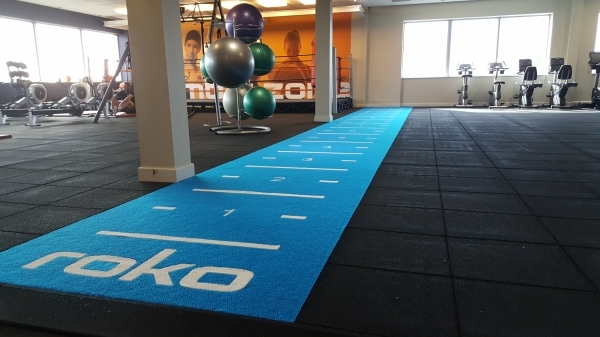 Our rubber shock pad system creates the ultimate flooring solution in terms of performance and feel. Product samples available upon request.